The innovative and revolutionary AvantGrand-Technology built into an elegant slim-cabinet. Featuring the same grand piano action as the N3 in a form that molds beautifully to any wall, the N2 is an instrument for the future, yet one that holds firmly to its identity as a grand piano. With a revolutionary speaker system and a touch that simply compels you to play, the compact form and feel of this elegant piano exudes refinement. 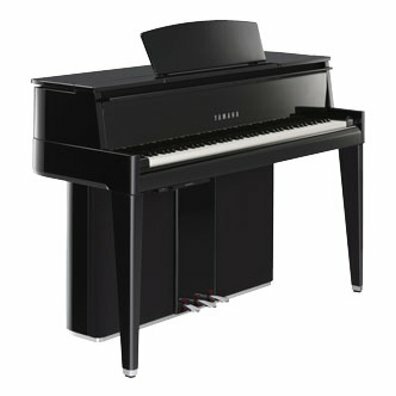 For piano-lovers wanting a grand piano for small spaces, the AvantGrand series now offers yet another choice.